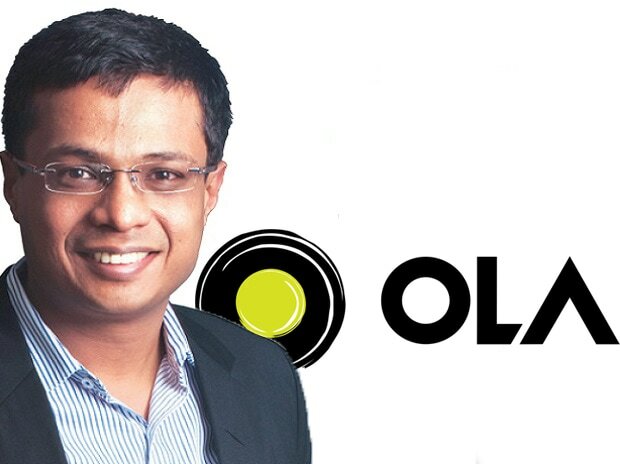 Ride-hailing firm Ola on Tuesday confirmed an investment of Rs 650 crore ($92 million) from Flipkart co-founder Sachin Bansal. This investment, which has been made by Bansal in his personal capacity as an investor, is part of Ola’s larger Series J funding round and values the Bengaluru firm at around $6.5 billion, according to sources with the direct knowledge of the development. Sources confirmed that with this investment, Bansal will be accorded a board seat in Ola, giving his business insights and expertise in taking the company to the next level. The investment will boost the Bhavish Aggarwal-co-founded firm in its battle against Uber, which is rapidly gaining share in India. A spokesperson of Ola, however, declined to comment on the matter. “I have known Bhavish as an entrepreneur and as a friend over these years, and I have great respect for what he and the team at Ola have built in just eight years,” Bansal was quoted as saying in an official communique issued by the company. “I am personally thrilled to be part of the Ola journey and I look forward to contributing to their success,” said Bansal, who along with Aggarwal in the past had called for policies that protect domestic companies against their global competitors Amazon and Uber. They had alleged that these firms were “dumping capital” to win customers in India. However, US retail giant Walmart’s $16-billion investment in Flipkart last May for an initial stake of approximately 77 per cent not only provided blockbuster exits to the investors but also made the founders — Sachin Bansal and Binny Bansal — into billionaires. Besides Ola, Sachin Bansal has also made investments in many start-ups, including electric vehicle maker Ather Energy, and SigTuple, which uses artificial intelligence to aid medical diagnosis. With regard to his investment in Ola, Bansal said that on the one hand, the ride-hailing major had emerged as a global force in the mobility space and on the other it continued to build deeper for various needs of a billion Indians through its platform. In January, Bansal invested the first tranche of around Rs 150 crore ($21 million) into Ola, according to the company’s filing with the Registrar of Companies. However, that was part of the Rs 650-investment that Ola announced now. “I personally look forward to learning from Sachin’s journey, his mentorship and guidance, as we look to build one of the most impactful global businesses out of India,” said Bhavish Aggarwal, chief executive officer at Ola. Srikanth Bhagavat, managing director, Hexagon Capital Advisors, a boutique wealth management company, said that unlike manufacturing business, successful entrepreneurs in the technology industry were trying to figure out how to deploy their wealth and were investing in new ventures like Ola. “They are entrepreneurs who have figured out this is what they are best at, and that is why the conviction level is high to invest their wealth (in such ventures),” said Bhagavat. He, however, said these entrepreneurs might have been good with their business but they should also be good at figuring out the new entrepreneurs they are backing. Founded in 2010 by IIT-Bombay alumni Bhavish Aggarwal and Ankit Bhati, Ola has raised a total of $3.4 billion in funding over 19 rounds from global investors, including SoftBank, Accel, and Tiger Global Management, according to data platform Crunchbase. Using the Ola mobile app, users across more than 125 cities can connect with over a million drivers across a diverse range of vehicles. Driven by a hyperlocal approach, Ola said it is committed to its mission of building mobility for a billion people. In the past, Aggarwal had compared the competition with its rival Uber to that of the Vietnam war, where the worldwide ride-hailing colossus was the US military fighting with local guerillas. He had said that Uber is strong in technology and do things well in the western world, but as a local company, Ola’s strength is in its knowledge of country and ability to understand the Indian consumers and drivers. While Ola has maintained its lead over Uber in the Indian domestic market so far, it is broadening the playing field by foraying into areas such as online food (through its acquisition of FoodPanda in 2017) and grocery delivery and also to global markets such as the UK, Australia, and New Zealand. The company is also seen making significant investment in adjoining services such as in-cab entertainment and advertising system OlaPlay, native wallet Ola Money, and scooter rental through its partnership with Vogo.